Join us for Kynren 2019! Who would have thought Kynren would have exceeded so many expectations? In our first three seasons, nearly a quarter of a million ticket holders traveled to Bishop Auckland to experience a show that is now one of the Top 5 Performances in the UK (Trip Advisor, as of January 2019). 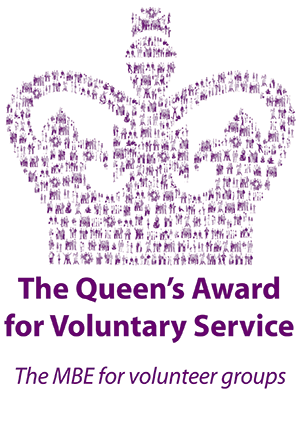 The all-volunteer Kynren cast & crew -aka Archers- earned standing ovations and rave reviews, and even the prestigious Queen’s Award for Voluntary Service. An 'Archer' is a member of our amazing cast and crew. Archers are the heart and soul of Kynren and they belong to a very special family of people committed to deliver a world class show to our visitors. Why join Kynren Cast and Crew? There are so many reasons to join Kynren: make new friends; spend time with old ones; add new skills to your CV; find the love of your life; escape from a dull job; or improve your fitness to name just a few of the benefits we hear over and over again. "Kynren" means generations. Joining as a family has proven to be a great idea. Children gain confidence, teens mature, young adults build networks of friends, moms do something for themselves, dads learn new skills, retirees re-engage with their community. Family bonds grow stronger. If you do not know anyone yet, you will make friends in no time, even if you are shy! As a registered charity, Eleven Arches is committed to education and community development. We endeavor to professionally train all our cast and crew each year in the key skills needed to produce a world-class show to ensure its longevity for decades to come. With professional training from leaders in their respective fields of event management, acting, dancing, cavalry, show tech, combat and pyrotechnics, Kynren is entirely run and performed by regular people like you. The cast and crew ARE the show. This is what makes Kynren special. One promise we make to you is that you will get a lot more than you ever give. When you join, you become an ‘Archer.’ You join an extended family with a common goal of creating a world-class entertainment. We want Kynren to create opportunities for individuals, communities and businesses in County Durham, bringing much needed tourism expenditure across the region. Each Summer Kynren attracts tens of thousands visitors to the region from all over the country and all over the world. These visitors bestow a positive economic impact on the community as they eat, drink, sleep and be merry. It's that simple. Our vision is centred on people, not profit. A purely commercial show is just a show, while a world class show with volunteers has a soul. For everyone who participates, this is about a journey, being part of a collective adventure larger than life, generating pride for us as individuals and as a community. For audiences coming to see our show, our passion, professionalism and commitment as volunteers will be the icing on an amazing cake. Do something incredible for yourself in 2019…. Join Us! Plans are now underway to bring many new surprises to our guests in 2019. Now is the time to grow our Kynren family. We’re recruiting great people of all ages (from 5), abilities and interests to join us on-stage or off-stage in a role that suits your groove.